242 pages | 12 B/W Illus. Water-related conflicts have a long history and will continue to be a global and regional problem. Asia, with 1.5 billion of its people living in shared river basins, and with very few transboundary rivers governed by treaties, is especially prone to such conflicts. 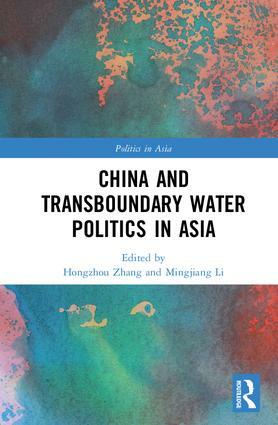 The key to mitigating transboundary water conflicts and advancing cooperation in Asia is largely in the hands of China, the upstream country for most of Asia’s major transboundary rivers. To avert the looming water crisis, apart from spending billions of dollars on domestic water transfer projects such as the South–North Water Diversion Megaproject, as well as on water conservancy and pollution abatement, China has sought to utilize the water resources of the major rivers that run across borders with neighbouring countries. On these transboundary rivers, China has built or plans to build large dams for hydroelectricity and major water diversion facilities, which has triggered anxiety and complaints from downstream countries and criticism from the international society. Hongzhou Zhang is a Research Fellow in the China Programme at the S. Rajaratnam School of International Studies (RSIS) at Nanyang Technological University, Singapore. Mingjiang Li is an Associate Professor and Coordinator of the China Programme at the S. Rajaratnam School of International Studies (RSIS) at Nanyang Technological University, Singapore.